So we are back from Queensland and boy is it cold here. I am taking a while to acclimatise from the 23 degrees C up there to the 13 degrees C here. I have got so many clothes on I can hardly walk and the heater is going overtime. I can't complain I have had 7 weeks of beautiful Queensland weather. I have been busy with all the things you have to do when you get home from holidays and tomorrow I go to the hairdressers so I think by lunchtime tomorrow I will be back to "normal", whatever that might be. 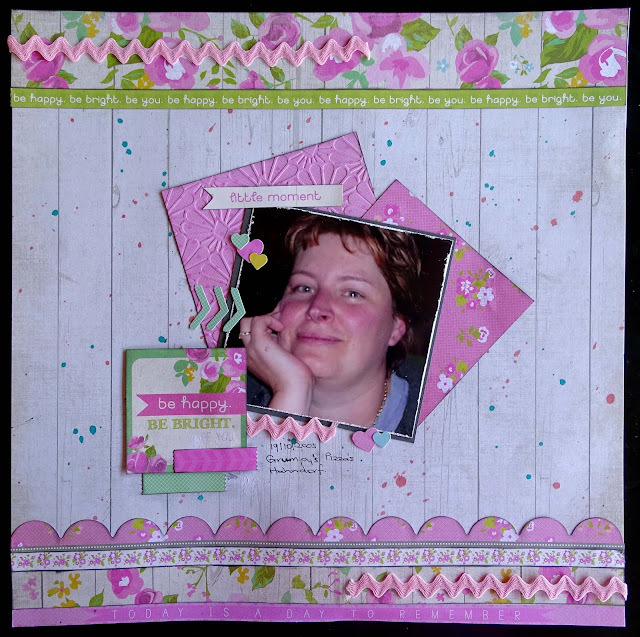 The papers used on this layout are Kaisercraft's "Dream Big" collection. 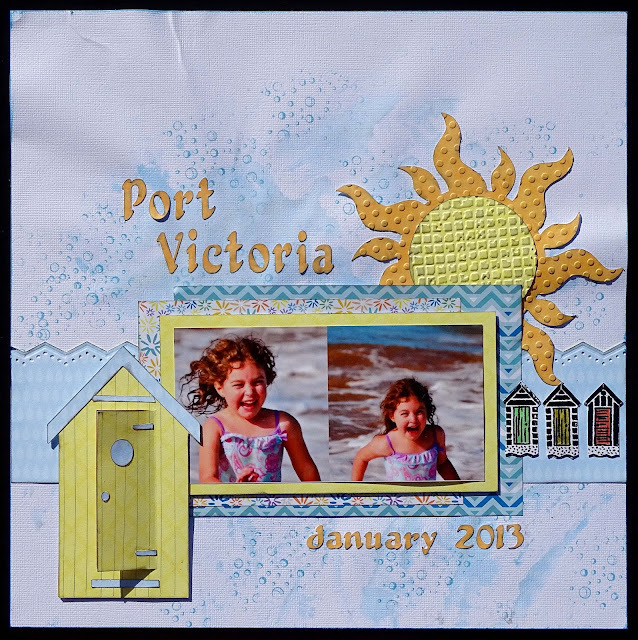 I have only got 2 "Retreat" layouts left to share with you so I had better get busy and start making some more. This is another layout from the retreat I attended recently. The paper is a Kaisercraft paper but I cannot remember the name of the range. 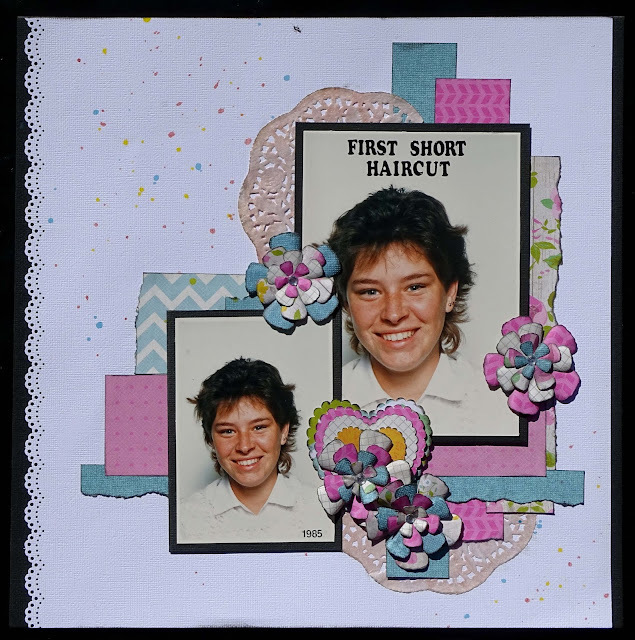 I have trimmed the background card stock down to 11.5" x 12" and punched down one of the 12" edges, then added a thin strip of black to both vertical edges. I have splattered assorted inks in the background, torn some edges, sprayed a paper doily with some Glimmermist and die-cut the flowers and hearts from the same patterned papers as I have used in the rest of layout. 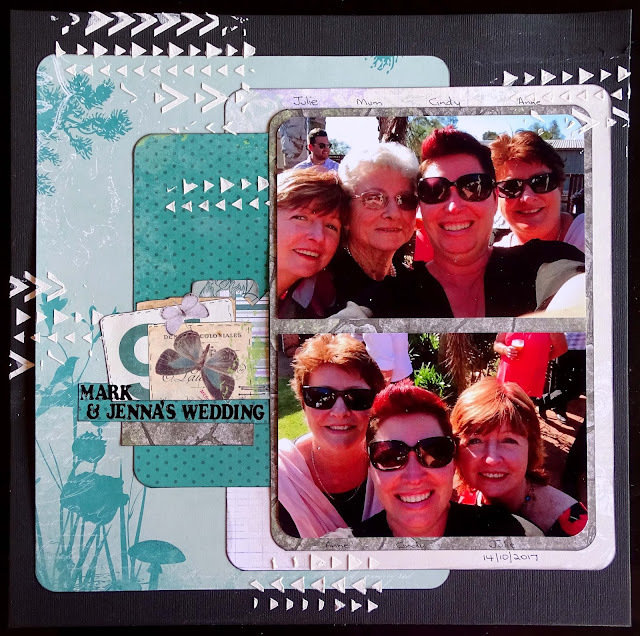 I am a bit late sharing this layout with you because I spent the day yesterday at the Brisbane Papercraft Show and did a great class with Cathy Cafun. It is not finished yet but I will show it to you when I have put the finishing touches to it. Today my day has been spent at the Cooley Rocks On festival so I have had no time to spend on the net. 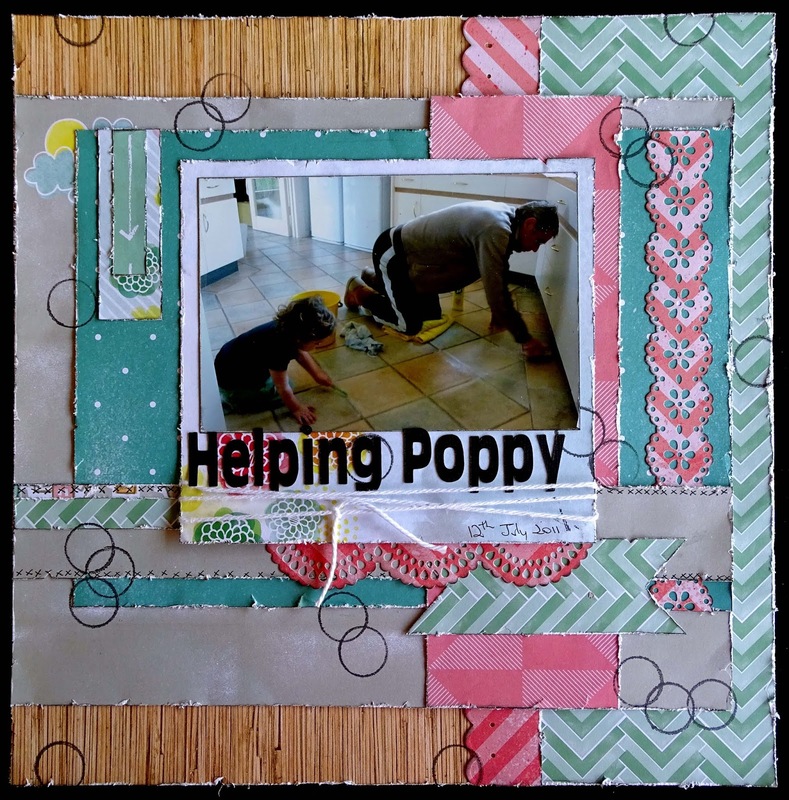 The challenge is to use your scraps (no bigger that 8" x 2") and your punches. 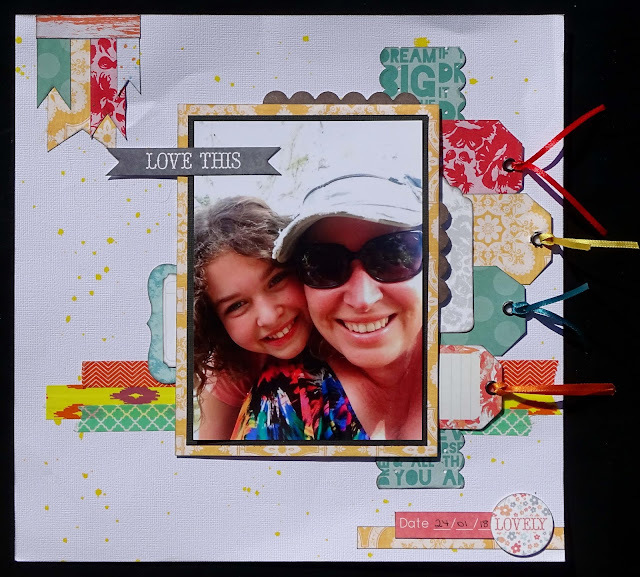 The background of this layout was a piece of cardstock that already had the embossing on it. 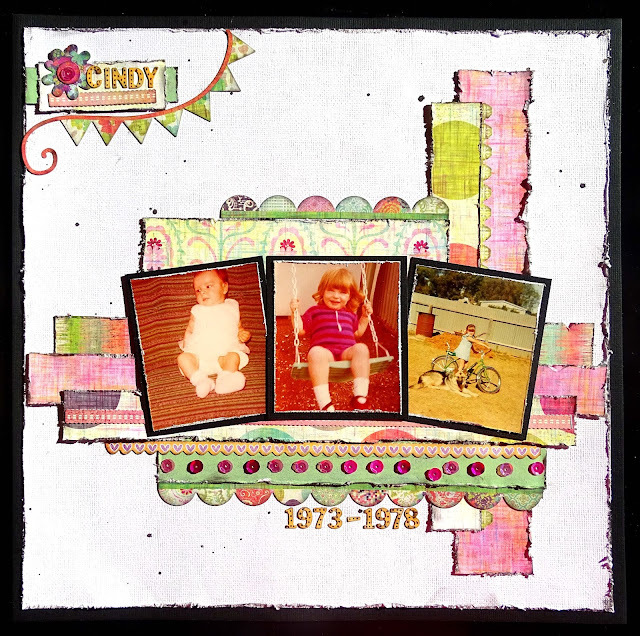 I swiped a pink inkpad over the cardstock to bring the embossing out a little. 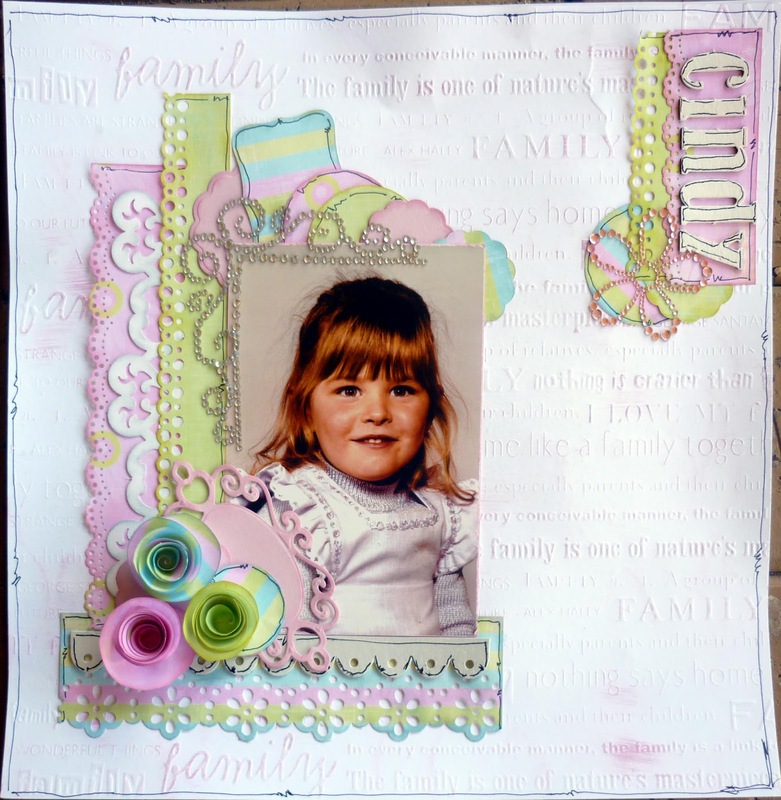 This is a very simple layout and I hope you will pop over to the Creative Inspiration Forum and give it a go. Great prizes to be won. 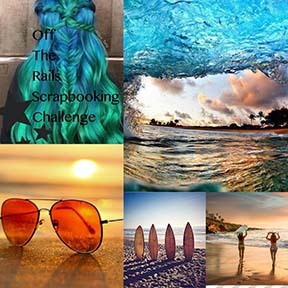 Today I am sharing a layout I did for the Mood Board over at Off The Rails Scrapbooking. This will be my last layout for this Design Team as I am going to be away from home a great deal in the second half of the year and I do not think I can do the position justice. Hopefully I will be able to re-join the team next year. I have really enjoyed my time with the team and wish them every success for the future. The theme June is beach, water, sun, bikinis. The background for my layout was created using Docrafts Artiste spritzing ink in Electric Blue and the "packaging" technique. Then I have used a Deep Red Water Droplets Background stamp with Distress Ink in Broken China for the bubbles. I did not use Gesso before I did this and you can see the paper is very crinkled even though I have stuck it to a sheet of chipboard to try and straighten it out. The small beach huts on the right of the layout were stamped then heat embossed with black. I then coloured the doors with my alcohol markers. The title was cut on my Scan N Cut using one of their built in fonts. The papers are a pack of free papers I got with a magazine I purchased some years ago. I am trying to use up all of the "stuff" I already have.